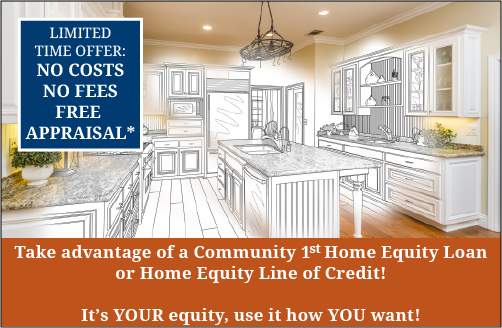 Fund your next big project or life event using the equity in your own home! 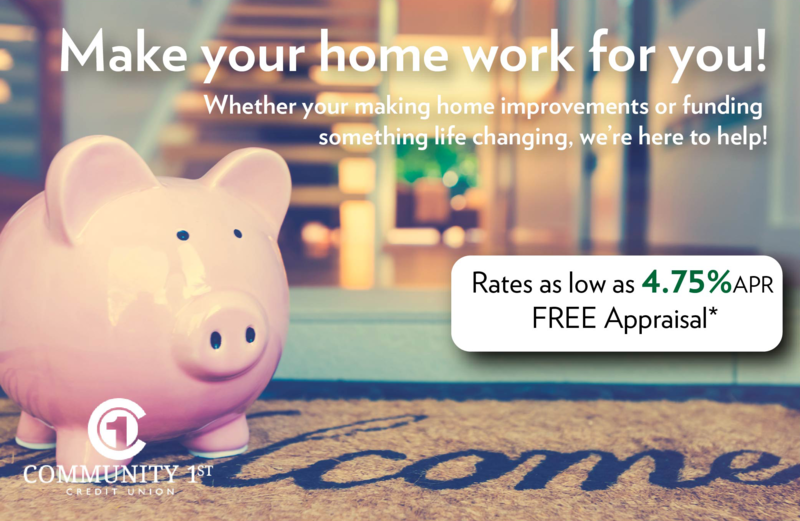 Right now you can open a Community 1st Home Equity Loan or Home Equity Line of Credit with no out of pocket costs, no fees, and get a free appraisal! An investment in renewable energy reduces your utility bills and impact on the environment. 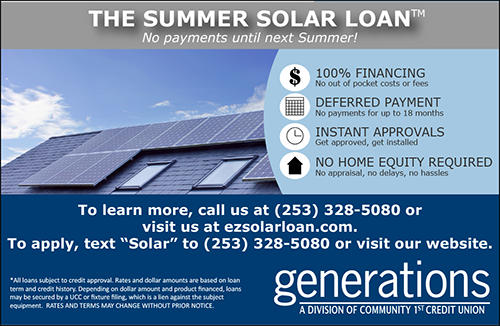 A Summer Solar Loan from Generations will allow you to experience the benefits of solar energy with simple financing and a low monthly payment! Click below to apply or learn more about this program! This is a limited time mortgage option which is perfect for those who want to pay off their home within the next 5-10 years. 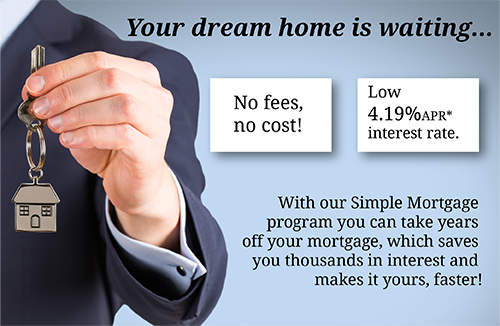 Low rate, no fees or costs, and the ability to customize to meet your term needs. 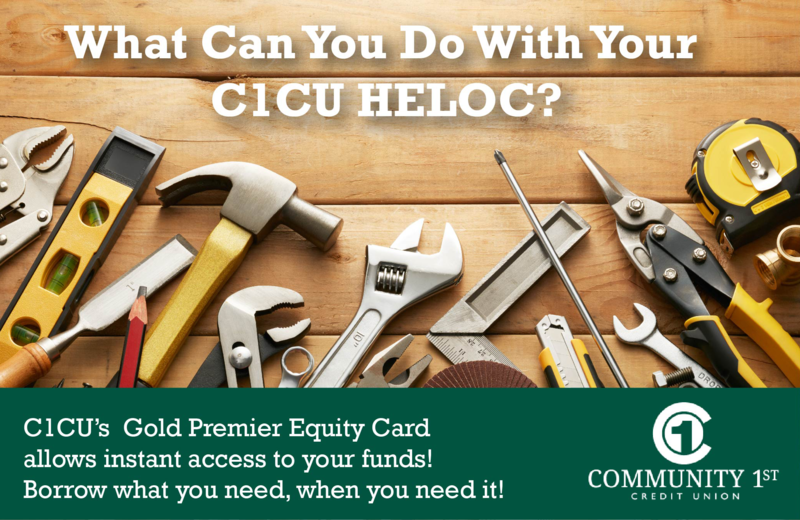 Our Home Equity Line of Credit option is the perfect tool to have in your “back pocket” (literally and figuratively) for times when you may otherwise put a major purchase on a high interest charge card. For a limited time, get our low rate line of credit plus a FREE APPRAISAL. See details below. Do you have a major expense in your life? Maybe a big wedding, home improvement project or you want to consolidate your debt into one loan. Why not take out a fixed term, low rate home equity loan and take the stress away. For a limited time, get our low rate HE Loan plus a FREE APPRAISAL. See details below.